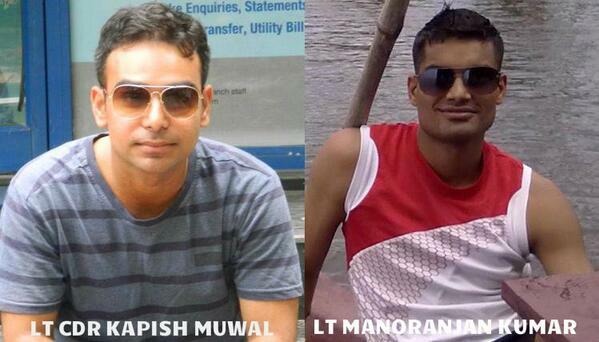 Lieutenant Commander Kapish Singh Muwal (28) hailed from Shyam Vihar in Najafgarh in South-West Delhi. He was a son of retired Cdr Ishwar Singh and Smt. 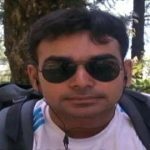 Dayawati Singh had a brother Ashish Singh. 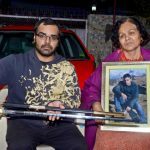 Kapish had scored 95 percent in his CBSE 12th standard exams and had studied Physics (Honours) for six months in St. Stephens College. However, he was very keen on joining the Navy and had applied to study engineering. He was successfully selected through the technical entry.” “He was adjudged the best cadet at the Naval Academy, for which he was given the Sword of Honour by the Chief of Navy Staff at his passing out parade. 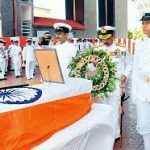 “He was a champion — be it academics or sports or even the Naval Academy” and the trial run of the submarine could have been his brother’s last sail as he was heading to the Indian Institute of Technology Mumbai or his M.Tech soon” recalled his brother. He was being sponsored by the Navy for an M.Tech course in IIT Mumbai. 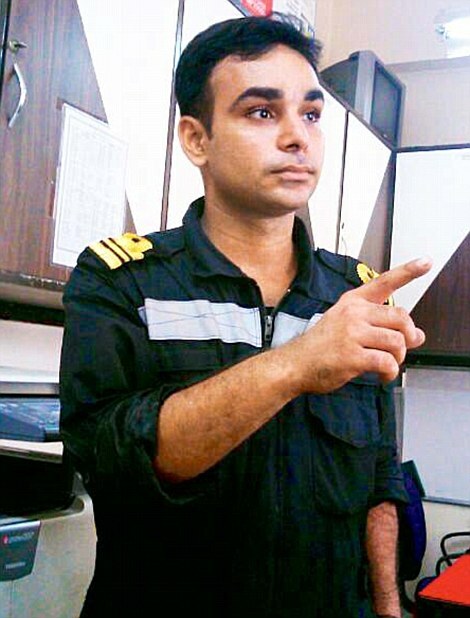 Lieutenant Commander Kapish Singh Muwal, on 25 Feb 14 with a crew of 94 personnel embarked onboard, INS Sindhuratna which sailed for sea examination post completion of refit. During the early hours of 26 Feb at about 0530 hrs, excessive build-up of smoke was reported in the IIIrd compartment which also houses one-half of the submarine’s main batteries. 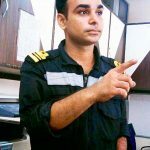 Lieutenant Commander Kapish Singh Muwal and his colleague in their capacity as the Officer-in-charge (IIIrd compartment) & Deputy Electrical officer respectively immediately mobilized all available personnel and damage control assets and commenced valiant effort towards controlling the grave emergency. As the ambient temperature in the compartment increased due to heat and as the visibility reduced, both officers, unmindful of their personal safety continued to fight the emergency. At one stage, they realized that conditions for human survival in the vicinity of damage had deteriorated and they immediately ordered the evacuation of the damage control team comprising 13 personnel to safer areas thus drastically reducing the number of casualties. They not only did the fire-fighting themselves but also provided extremely vital inputs to the Command Post on the status of damage control and further likely implications. They limited the damage area preventing the spread of fire to the battery compartment, thus obviating an extremely dangerous possibility of damage to the entire submarine. Even the breathing had become extremely difficult both continued pushing the crew to safety and fought the emergency undeterred. They were last seen fighting the fire/smoke, rather than saving themselves. 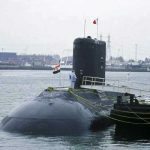 Their exemplary effort to douse the smoke in extremely hazardous conditions was beyond the call of duty, which ensured the survival of 94 crew members and the safety of submarine. 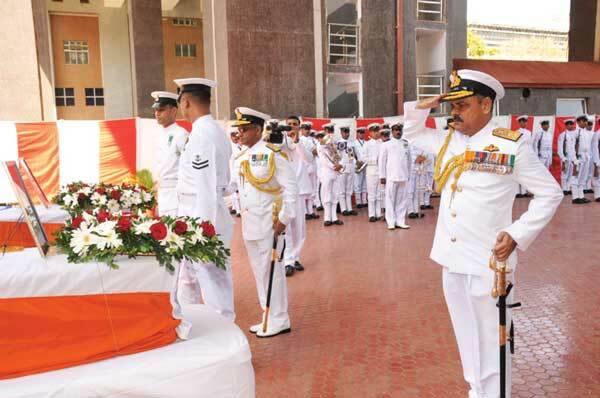 The officers laid down their life keeping with their responsibility as the Compartment officer & Electrical officer, the safety of the submarine and personnel above their own. Their singular act of courage and bravery resulted in the damage being contained, casualties being minimized and extensive structural damage to the submarine being averted. Their valor and dedication is in keeping with the highest traditions of the Indian Navy and ethos of the officer corps. 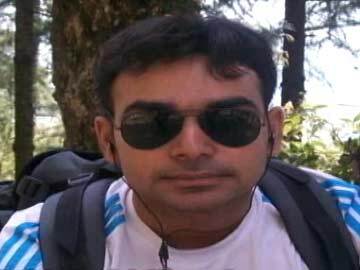 Lieutenant Commander Kapish Singh Muwal, had been awarded “Shaurya Chakra” (Posthumous). 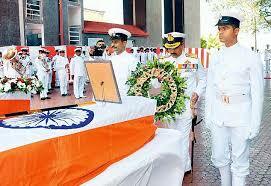 Lieutenant Commander Kapish Singh Muwal is survived by his parents Retired Cdr Ishwar Singh and Smt. 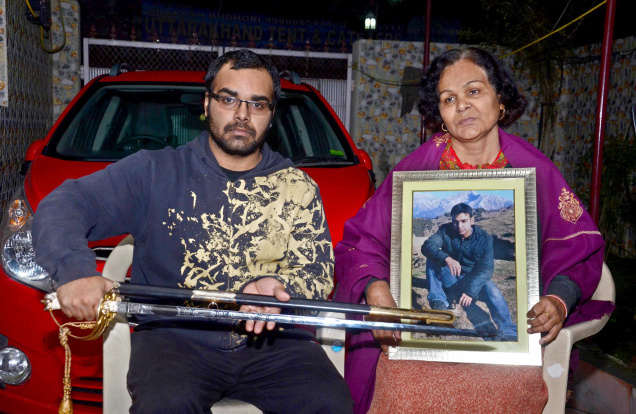 Dayawati Singh and his brother Ashish Singh. 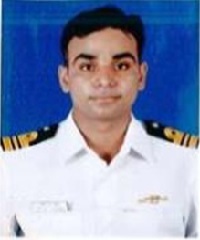 Lieutenant Commander Kapish Singh Muwal,on 25 Feb 14 with a crew of 94 personnel embarked onboard, INS Sindhuratna sailed for sea examination post completion of refit. During the early hours of 26 Feb at about 0530 hrs, excessive build-up of smoke was reported in the IIIrd compartment which also houses one-half of the submarine’s main batteries. 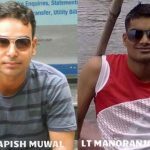 Lieutenant Commander Kapish Singh Muwal and his colleague in their capacity as the Officer-in-charge (IIIrd compartment) & Deputy Electrical officer respectively immediately mobilized all available personnel and damage control assets and commenced valiant effort towards controlling the grave emergency. As the ambient temperature in the compartment increased due to heat and as the visibility reduced, both officers, unmindful of their personal safety continued to fight the emergency. At one stage, they realised that conditions for human survival in the vicinity of damage had deteriorated and they immediately ordered evacuation of the damage control team comprising 13 personnel to safer areas thus drastically reducing the number of casualties. They not only did the fire-fighting themselves but also provided extremely vital inputs to the Command Post on the status of damage control and further likely implications. They limited the damage area preventing the spread of fire to the battery compartment, thus obviating an extremely dangerous possibility of damage to entire submarine. Even the breathing had become extremely difficult both continued pushing the crew to safety and fought the emergency undeterred. They were last seen fighting the fire/smoke, rather than saving themselves. 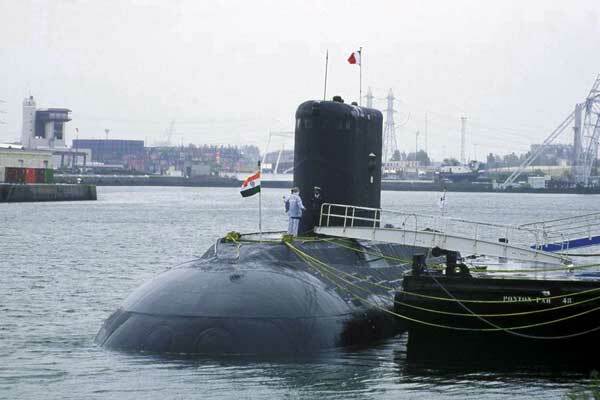 Their exemplary effort to douse the smoke in extremely hazardous conditions was beyond the call of duty, which ensured survival of 94 crew members and safety of submarine. 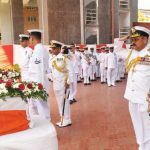 The officers laid down their life keeping with their responsibility as the Compartment officer & Electrical officer, safety of the submarine and personnel above their own. Their singular act of courage and bravery resulted in the damage being contained, casualties being minimised and extensive structural damage to the submarine being averted. Their valor and dedication is in keeping with the highest traditions of the Indian Navy and ethos of the officer corp.
Honourpoint Foundation takes utmost precaution towards factual correctness of the uploaded data and makes sure that the data is from a credible source. 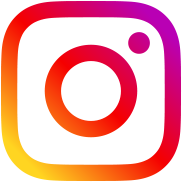 However, we do not take responsibility for authenticity of the content and Honourpoint Foundationor any of its members cannot be held responsible for any misappropriation of the uploaded content.